Having worked with small businesses for over 20 years, Liberty understands the financial hurdles that may come your way. Speak with a Liberty representative today to get started on financing your small business. Ask any budding entrepreneur or small business owner and they’ll tell you that the most difficult thing about starting a new business is financing it. For small businesses just starting out, finance can be incredibly difficult to come by - due largely to the strict lending guidelines of traditional banks and most lending institutions. A 2012 NSW Business Chamber and DAE report found that approximately a third of Australian small businesses weren’t able to obtain the full amount of credit their business required. In fact, according to the survey, the smaller the business the harder it was to obtain a loan. This is not overly surprising considering the risk profile of many smaller businesses. Typically, bank interest rates for business loans are set as a “one size fits all” approach and don’t take into consideration the individual credit risk of the small business. 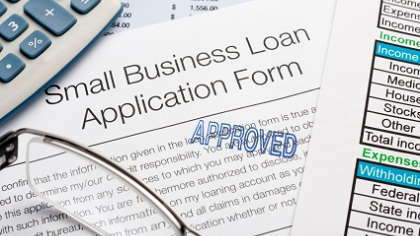 It is this strict lending policy that makes it harder for smaller businesses to borrow money. Today, there are a number of new funding avenues open to businesses such as peer to peer lending, venture capital funding and larger overdrafts offered by some of the major banks. However, often the costs and the rigid application process associated with these options can be restrictive. One way to overcome funding hurdles for your business is to speak with the country’s leading specialty lender Liberty who understand that not every small business fits within a traditional Bank box. Liberty is one of Australia and New Zealand’s mainstream finance providers that offers a wider range of loan solutions for small business and start-ups. Liberty knows the challenges facing small companies - they’ve been working closely with them for almost 20 years. Liberty takes the time to get to know you and your business so they can provide a bespoke solution that works for you. To date the company has helped over 140,000 customers with loans worth in excess of $12 billion. If you need finance for your business, talk to the experts at Liberty today. Explore www.liberty.com.au or call 13 11 80. This post was brought to you by Liberty. Using a Tax Preparation Service: Worth It?